But which is right for you? When selling a home in the UK, the vast majority of homeowners will approach a traditional high street agent to help sell their home. However, with online estate agents and private sales websites taking an increasing proportion of business away from the high street, there are now serious and competitive online alternatives available. 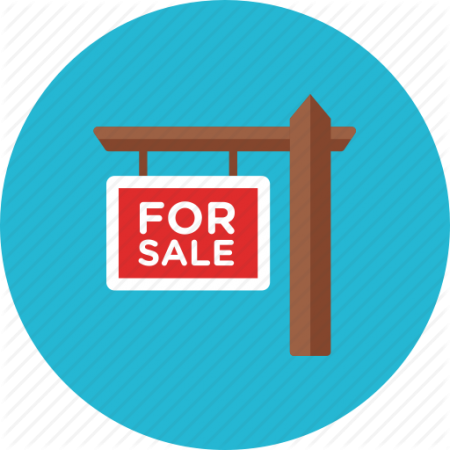 There are 4 main methods to sell a home in the UK, these being: High Street Estate Agent, Online Estate Agent, Private Sale/For Sale by Owner, and Property Auctions. To help you navigate the home-selling minefield and find the best possible approach for you and your home, we evaluate the different methods and their pros and cons. High street agents have dominated the market for decades and are still widely regarded as the best and most efficient way to sell a home. High Street agent’s strength is their wealth of industry experience, which allows them to guide sellers through the process from start to finish. Estate agents will value your home, market your property both physically and digitally, communicate with buyers to arrange and carry out viewings and oversee negotiations right up to completion. High Street agent’s fees typically range from 0.5% – 3% however most agents position themselves around the 1.5% – 2% mark, with higher fees charged for joint agency listings or properties requiring specialist services. The main benefit of using a traditional estate agent is that pretty much all of the work is taken out of your hands. Traditional agents will oversee the entire process and are on hand to advise sellers at any point throughout the sale. Many sellers want to get to know the person selling their home and high street agents provide the face-to-face contact that you won’t get from purely online services. Offer Negotiation – Another key point for many homeowners is the help provided when negotiating offers. Unlike other alternatives, traditional agents know the position of the buyers placing an offer and can advise on both sides of the equation, hopefully avoiding any nasty surprises. No Sale No Fee – Although selling with a high street agent can be one of the more expensive options, you can guarantee that you won’t pay a penny if the property fails to sell, as your agent will only receive their commission fee upon completion of the sale. Local Office – Unlike online estate agents, high street agents will have a physical local office in your area, with a database full of local buyers. This means that your property is being marketed to people with an active interest in the area, and any good agent should have a detailed understanding of the specific trends and patterns of your local market. This detailed local knowledge is an essential tool for giving an accurate valuation of a home and cannot be replicated by online valuation models, so it is always sensible to have a professional agent value your home – even if you do not intend to sell with one. Mixed Marketing – You can expect a good mix of both physical and digital marketing when selling with a high street estate agent. They will put up a For Sale board outside your home and advertise your property in their office window, capturing interest from the local community. Your agent will usually advertise your home on their website, and more importantly, will distribute it to major nationwide portals such as RightMove, Zoopla and TheHouseShop – make sure you ask your agent where they will be marketing your property online! Cost – Traditional high-street estate agents do provide a comprehensive service, but you will pay for it. Estate agent‘s commission can vary slightly depending on the circumstances of the sale but typically they range between 1% and 2.5%. 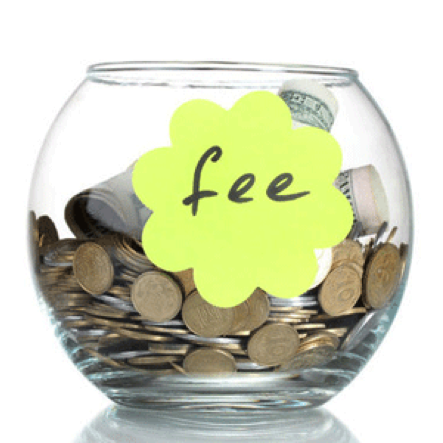 So a significant chunk of your sale price will go towards fees. Taking the average UK house price of roughly £280,000 and a commission fee of 1.5% – you would expect to pay your agent £4,200. Significantly more than you would pay for an online agent or private sales service. Little Control – Another downside to this method is that the estate agent does not necessarily have an interest in marketing your property the way you want them to. 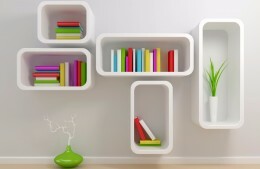 For example, some estate agents will ask you to remove or down-play aspects of your home that you value the most. Almost all the control of the sale is taken out of your hands – a pro and con, depending on your priorities. No Specialised Marketing – Traditional estate agents tend to market all their properties in the same way. When it comes to unusual or specialised properties, they lack the niche marketing ability to advertise these homes to unique audiences. 90% of all property searches are now started online and the digital property market is increasingly popular. Online estate agents offer a similar service to high street agents, with the main difference being the lack of a physical office. Online agents typically offer a broad range of services, with a long list of optional extras and packages to choose from. This means that you can still have your property listed on the major portals, including both RightMove and Zoopla but without handing over total control to your agent. Online estate agents like Purplebricks have become increasingly popular in recent years and the industry is now thriving. There are a large number of different online agents fighting to secure your business and prices can vary quite dramatically, so make sure you do your research and choose carefully before jumping in – this article by Homeowners Alliance gives some useful advice on how much you should pay for an online agent service. Cost – The fact that online agents do not have a physical office means that they have no office rent to pay, or any of the associated costs, so can pass on cheaper rates to the customer. 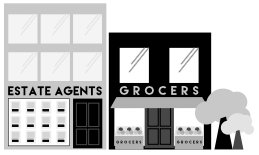 This gives them an edge over traditional high street agents. If you are worried about the up-front costs associated with online agents then fear not! As some agents, including eMoov and House Network, offer packages with smaller up-front payments and the remainder paid on completion. Access to Major Portals – If you have been considering a DIY or private house sale, but have been put off by your inability to list on key property portals, then an online agent might be the right choice for you. Most online agents will advertise your property on atleast one of the major portals (RightMove, Zoopla, TheHouseShop and Prime Location), and if you choose carefully you should be able to find a package that gives you access to all the major portals. Available 24/7 – Most online agents will have live web-chat services so that even if you can’t pop into their local office, you can speak to a representative and get a swift response. The online nature of the business means that, compared to a high street office with typical opening hours, you will be able to speak with someone about your sale at any time, day or night. No Physical Office – This is both a blessing and a curse as, although it allows the agency to pass on cheaper rates, there is no physical presence in the local area where the property is based. This means that you won’t be able to take advantage of interested buyers in the local community, who may not even know that your home is on the market. Choose Your Package Carefully (and watch out for VAT) – You should make sure that any package you choose contains the bare essentials; floor plan, EPC, photographs and a listing on both RightMove and Zoopla. You should also be wary of the quoted prices for packages and additional extras as it is common to list prices excluding VAT. If you are not aware of this, it can bring a nasty shock when you reach the checkout. Recent legislation has declared that all estate agents’ services should be advertised including VAT, however some in the industry have been slow to catch on, so make sure you read the small print and double check if the fees displayed are inclusive or exclusive of VAT. Compulsory Extras – As more and more online agents enter the market, competition gets tougher and a price war ensues. Be wary of online agents quoting ‘too good to be true’ prices to sell your home. These very low prices often come with compulsory extras when you read the small print – for example “sell your home for just £295″… “when you take our conveyancing service as well”. Compare the best online estate agents and find the perfect fit for you and your property! In parts of Europe and the United States, private house sales account for 12%-15% of the market, however in the UK they account for less than 5%. Despite this, private house sales are finally gathering pace in the UK and becoming more popular among sellers who have been disappointed with traditional estate agents’ services. Research has shown that the average age of private sellers is 40.2 years of age, meaning that the majority of private sellers are most likely second-time buyers who have been through the process with an agent before and now have the confidence to go it alone. Selling your home yourself, without the help of an estate agent, gives you total control over the sale process – from marketing your property, to conducting viewings and negotiating the sale price. Private house sales services will help you market your property to interested buyers and will offer the same professional services that you can expect from an estate agent. 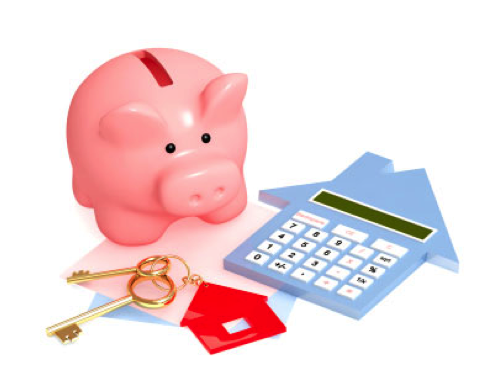 Cost – Selling your own home is the cheapest way to sell property in the UK and the most common reason for choosing this method is to save money on estate agent’s fees. Selling your own home is one of the few methods available where you will keep the entire purchase price of the property. You can advertise your home on a For-Sale-By-Owner website for as little as £34.99 per month – compare this with the £4,200 you would pay to an agent on an average UK house, and you could save well over £4,000 by selling yourself. Another bonus of the FSBO route is that, unlike a commission fee, the price you pay doesn’t change depending on the value of your home. Specialised Advertising – Private sales are especially suited to owners of unusual or niche properties, for example accessible homes. This is because private sellers have more control over how their home is advertised and you can highlight accessible features as a key selling point. Property websites like TheHouseShop.com offer free listings to accessible homeowners and more and more disabled buyers are staring their searches on private sales sites. Effective Online Marketing – With a private sale, homeowners can do anything and everything in their power to make their home stand out from the endless sea of listings online – some homeowners even adopt Extreme House Selling techniques to secure a sale. Because private sellers can be more flexible in how they advertise their homes, they can take advantage of innovative and effective digital marketing tools such as social media and Google Ad campaigns. As well as promoting your property on your personal social media accounts, many private sales services will offer a paid Facebook advertising campaign where your listing is displayed to a highly targeted audience. The same is true of Google Ad campaigns where your listing will be shown to people who search for specific phrases in Google – for example “3 bed house for sale in Brighton”. Stay in Control – With a private sale, you stay in complete control of the process. No-one knows your home as well as you do and you will most likely do a better job of ‘selling’ the place than most agents. Prospective buyers like honest and transparent communication and will enjoy learning what they can expect from the local community from someone who has actually lived there – so leave the agent “sales speak” at the door! 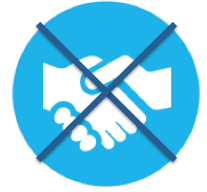 No Hand-Holding – Some homeowners find that they lack the confidence to go through the sales process alone, especially when it comes to negotiating an offer and finalising a sale. The private sales method does not suit sellers who are uncomfortable with the norms of the property market and may find the prospect of a private sale daunting. 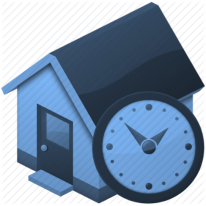 Time and Effort – Selling your own home will require a significant amount of time and effort on your part, to arrange and conduct viewings, create your property advert and negotiate with buyers. 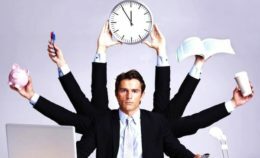 If you are working a full-time job this may be difficult, and the sale may be dragged out over a longer period of time. Security – Another concern with this method is direct contact between you and potential buyers. Sellers should always be wary of strange or unusual enquiries from buyers, as they may be fake or malicious. An agent would usually filter out these enquiries before they reach you, and you should be aware that you will have to do this yourself. Property auctions can be a great way to get a quick sale, but the process is better suited to certain kinds of properties, and may not be the right choice for everyone. Property auctions work in much the same way as antiques or furniture auctions, where sellers put their property up for auction with a guide price and a reserve. The auctioneer then starts the bidding and as long as the reserve amount is reached, the property will be sold to the highest bidder. There are still costs involved, and auctioneer’s commission can be up to 3% of the sale price. On top of this there is also a registration fee which can be as much as £3000 + VAT depending on the value of the property. Quick Sale – Compared to the other methods, auctions can produce the quickest sale for a homeowner, and if there is interest in your property, then it may spark a bidding war, which can push the sale price far above market value. Second Chance Sale – Property auctions are best suited to unusual or run-down properties that require a significant amount of work. These properties often fail to sell on the open market and auctions offer a better chance of a quick sale. Protect Your Profit – Although sale prices can be unpredictable at auction, placing a ‘reserve’ price will protect your home from selling for pennies – but be careful where you position your reserve, as if it is too high you will deter buyers and the property may remain unsold. Selling Costs – With the combined cost of the auctioneer’s commission, the registration fee and any other associated costs, this method can actually be the most expensive way to sell your home. Most auctioneers are happy to negotiate and you should always meet with a representative from the auction house and allow them to view your property before agreeing any fees. Buyers Expect Bargains – Even with a reserve price in place, homes frequently sell for below market value, as savvy auction-goers are expecting to find bargains. Again we must emphasise that you should think very carefully about setting your reserve price – you need to strike a balance between tempting buyers and protecting your profit. Unpredictable – Another downside to selling via a property auction is that you cannot predict who will be in the room at the time your property comes up for sale. Because the sale is a one-off event, it leaves no room for negotiation from late-comers. You will also need to carefully select your auctioneer and auction house as some will have specialist or niche markets that your home may not fit in to.